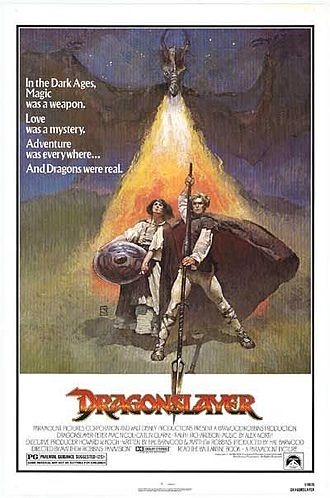 1981’s movie, Dragonslayer, blew my twelve year old mind when I fist sat through this movie with my good friend, Robin. Now, 23 years later, I am still liking this movie. So, this early 190’s fantasy film still looks beautiful (not something that most movies with special effects from that era can say), and is still interesting. As stated in the title of the review/write up, the Dragon in this movie is still one of my favourite designs of a Dragon in movies, ever. Maybe it’s second to Smaug, now, though I’ll decide that after the third and final Hobbit movie. Still, this movie, in my opinion, still hold up well. I heartily suggest this as a must watch for any fan of the Fantasy genre. 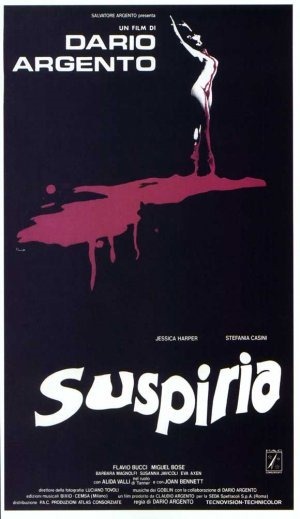 Suspiria is a 1977 horror movie directed by the Italian master, Dario Argento, and the fist of a trilogy of horror. And it’s weird… and loud.